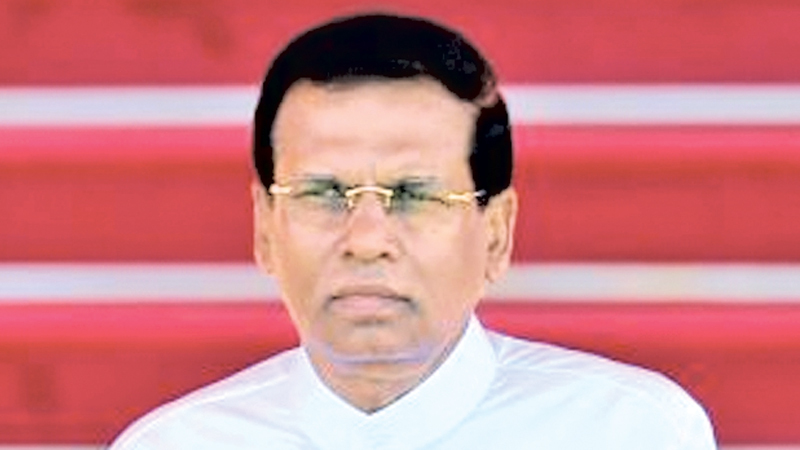 President Maithripala Sirisena has said he would appoint a Cabinet Sub-Committee to look into the urgent recommendations included in the recently released Interim Report of the Office of Missing Persons (OMP). The OMP established to address the many cases of missing and disappeared, handed over their Interim Report to the President last Wednesday at the Parliamentary premises. The Interim Report among others recommends interim measures to provide relief and reparation to the affected families by the disappearances of their loved ones, OMP Chairman President Counsel Saliya Peiris, responding to the Daily News said that pending the investigations and justice done for the disappeared, the most immediate issue the missing persons’ families are undergoing is the economic hardships. “When we handed over the Interim Report to President Sirisena, he assured us and the diplomatic community that he will put these recommendations before a Cabinet Sub-Committee,” Chairman, PC Saliya Peiris said. “Many families of the disappeared are economically affected by the disappearance of their loved ones. Sometimes, the disappeared had been the breadwinner of the family. It maybe the children who have disappeared and their aged parents need support. There are single parents whose partner has disappeared. Most of these persons are in debt. Accordingly, these persons should be incorporated in to a relief programme,” OMP Chairman PC Peiris pointed out. While stressing the importance of addressing the economic difficulties faced by the families of the missing persons, Peiris emphasised that what is most important is doing justice for those who are missing or disappeared. “This is not to say for a moment, that justice should be ignored,” he added. Under the relief proposals by the Interim Reort, OMP has suggested to launch a debt relief programme to the families of disappeared. As a part of these recommendations, the OMP has suggested that the government provide loan facilities to those families through ‘Enterprise Sri Lanka’ to improve their living standards. The recommendation further that these families should be included in a priority category in a debt relief programme that would either write off debts such as micro finance loans or in a financial aid programme or loan scheme. The OMP has also suggested that these families be given educational and housing development aid as well. As a part of a financial aid programme, the OMP also suggests to implement a programme to provide a monthly living allowance of Rs.6,000 to the surviving spouse, child/children and/or surviving parents of a missing or disappeared parent who has no permanent income, until the final reparations are provided. Meanwhile, Finance Ministry Secretary Dr.R.H.S.Samaratunga responding to Daily News on the same topic said that they will be able to further on the recommendations for debt release and financial aid programs when the matter would be taken up by the Cabinet.